Greetings and Love from Mazunte, where our little center is buzzing with activity and aspiration. A new newsletter. Beyond many exciting events, it conveys the silent glimpse of real moments; it simply calls for Heart remembrance. Because yes, new meditation retreats and yoga classes are always happening… But the facts matter only when they are able to touch that string that vibrates in Eternity. Therefore, what is announced here is not so much a matter of content, but of the intensity of Being. There is a need for meditation and spiritual practice in order to learn how to fully honor this freedom. The 2014 Hridaya Teacher Training Course has unfolded very harmoniously. Our students, lovers of meditation, find themselves halfway through their journey. Their process of transformation was quite evident at the sharing session after the October 10-day retreat. Many students testified to the new depths they had reached in their understanding, surrender, and awareness. Daily meditations, Module 1, drop-in classes, and our 3- and 10-day Hridaya Silent Meditation Retreats round out our monthly program. Join us! Our workshop series continues to offer gems from some of our most beloved teachers. Antoaneta will explore the art of tantric intimacy in Practical Tantra, 7-9 November. Claud will present a special 5-day From Pain to Peace workshop 16-20 December. Nicolas will offer Ahimsa: Embodying Compassion 16-18 January. And, Sahajananda will delve into the Vijnana Bhairava Tantra, a classic text from Kashmir Shaivism, in the Art of Awareness 13-15 February. Email us for more information or to book your place. For the last few weeks, many of our students have enthusiastically embraced the schoolwide Hridaya Tapas of shirshasana, the headstand. They come together daily to work on holding the headstand longer and longer. This improves their physical performance and deepens their awareness. They have made steady progress. They are currently holding it for a minimum of 9 minutes a day. If you are inspired to join the tapas from home, please do! Our TTC students have been enjoying the opportunity to spend time in solitude in our Dark Room. The room will become open for public bookings starting at the beginning of December. Please email us for more information. Sahaja Returns to Koh Phangan! We are very pleased to announce that Sahaja will be returning to Agama Yoga Thailand for an 8-day retreat 12-19 July 2015. Mexico City friends, be sure to stop by Expo Yoga, where Nicolas will be giving a talk on Living with an Open Heart on 21 November. Nick will also be offering a few other classes in the area. Contact him for more information (email: nick@hridaya-yoga.com). Also in the D.F., Maeioum will be teaching a Hridaya workshop at Bienfest, 8-9 November at Foro Mazarik, Polanco (email: aumsrimata@gmail.com; www.bienfest.com). Latifa and Renata will offer a 2-day workshop, “Tantra el Arte de Amar,” 15-16 November (email: latifa@hridaya-yoga.com). And, Giselle will be giving a 3-hour Hridaya Intensive on 6 December at Mukta Yoga (email: hridaya.df@gmail.com). Kamala Yoga and Meditation Center in Brasov, Romania offers Hridaya solitary retreats and dark retreats. It also offers Hridaya Hatha Yoga classes, workshops, and weekend meditation retreats. It will host Sahaja for a retreat 26 December 2014-6 January 2015 (email: centrulkamala@gmail.com; www.kamala.ro). The Kaivalya Yoga School and Ashram on beautiful Lake Atitlán, Guatemala offers ongoing month-long Hridaya Intensives and holds monthly 4-day Hridaya retreats. The next one starts 23 November. They will also offer an 8-day retreat 2-11 January 2015 (www.yogaretreatguatemala.com). Naz teaches ongoing Hridaya Yoga classes in London and Milton Keynes, England (email: naz@theheartcentreyoga.co.uk; www.theheartcentreyoga.co.uk). Raluca teaches Hridaya Hatha Yoga and Meditation classes and gives weekend retreats in Brasov, Romania (email: contact@santosha.ro; www.santosha.ro). Elsewhere in Europe, Esther teaches Hridaya Meditation and Hatha Yoga classes in Bern, Switzerland (www.kaliayoga.ch). Niamh offers weekly Hridaya Meditation classes at two yoga centers in Liverpool, England (www.hridayayoga.co.uk/). Giulio gives yoga classes and weekend retreats in scenic Florence, Italy (email: gbenati@hotmail.it). 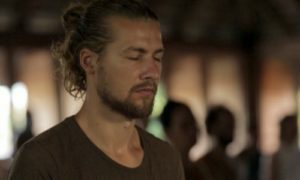 Adam will teach a 6-week meditation course starting 5 November in Groningen, Netherlands (email: aossin@gmail.com; www.GSpweb.nl; www.hridaya-yoga.nl/activities). 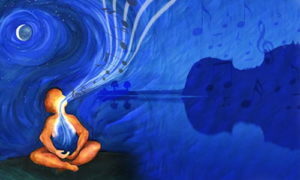 Also in the Netherlands, Esmeralda teaches regular Hridaya classes in Rotterdam and Breda (openheartedly.wordpress.com). Tamara is teaching Hridaya Hatha Yoga and Meditation classes in sunny Newcastle, Australia (email: yogaheartspace@gmail.com; facebook.com/yogaheartspace). And, Mike announces the founding of Hridaya Hatha Yoga Minnesota, which will soon offer Hridaya classes in Minneapolis (email: mike.a.steffenson@gmail.com). We hope to see you soon! May more and more moments of Stillness unfold in your life.